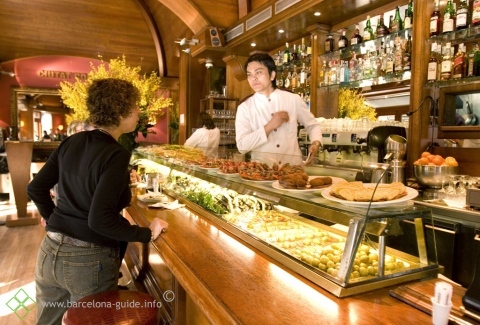 This is the place if you want to have tapas in a lively atmosphere! 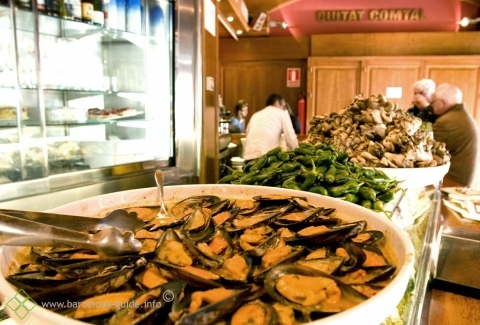 At Ciudad Condal it is always full of people, both tourists together with locals trying the various plates of tapas and montaditos full of the nicest shrimps, anchovies, seafood, croquettes, delisious Spanish ham Jamon de bellota de pata negra, big olives and crunchy grilled green asparagus. 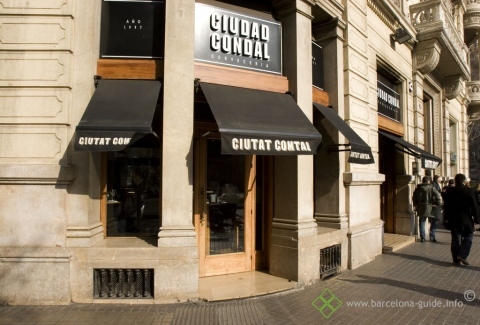 Add to this the location on Rambla Catalunya and no wonder its is almost impossible to find a table, better try the bar or book a table well in advance.